Our trip to the Eugene farmer’s market yesterday yielded some great fresh produce. The star of which were two big bunches of multicolored beets. Surprisingly, despite its great location in the lush, mid Willamette valley, Salem doesn’t really have a real farmer’s market, so this was definitely a treat. I knew immediately when I saw the beets that this salad was soon to be apart of our weekend. 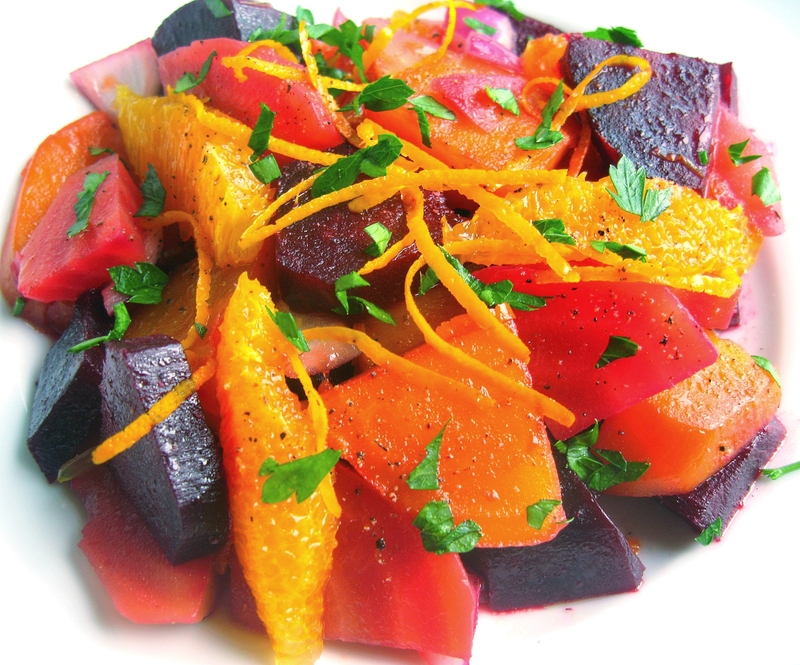 Based on one of Ina Garten’s recipes from her first cookbook (beet salad with orange vinaigrette), this salad is full of great flavor. I started by boiling the whole beets in salted water until they were tender (about an hour). Once they were cool enough to handle I peeled and diced them, and tossed them together with a few tablespoons of freshly squeezed orange juice, a splash of raspberry vinegar, a couple of tablespoons of extra virgin olive oil, a dash of sugar, salt, and freshly ground black pepper, and some fresh orange zest. I then added a half a cup or so of diced red onion, some orange segments, and a little Italian flat leaf parsley. 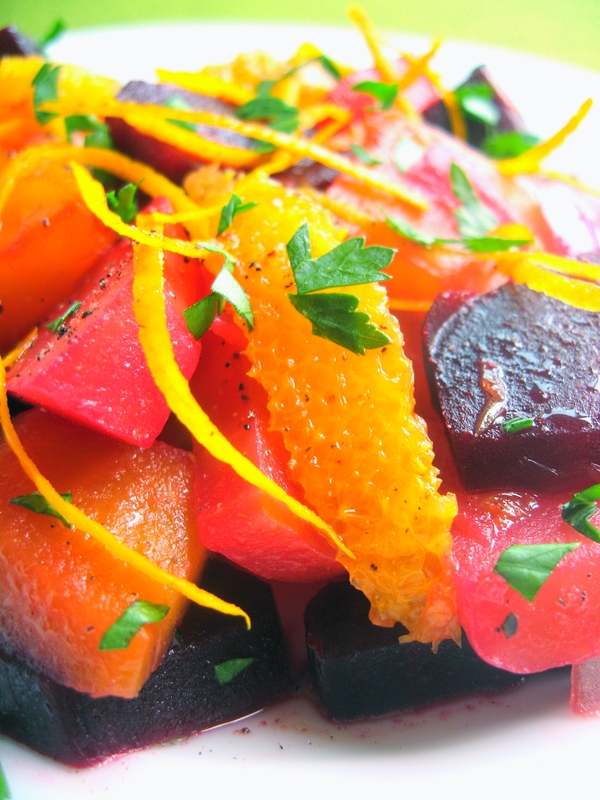 The delicious, sweet, earthy beets not only make for a beautifully vivid presentation, but also pair nicely with the fresh orange. Whether as a side dish, first course, or lite lunch, this colorful salad is always a treat. Enjoy! 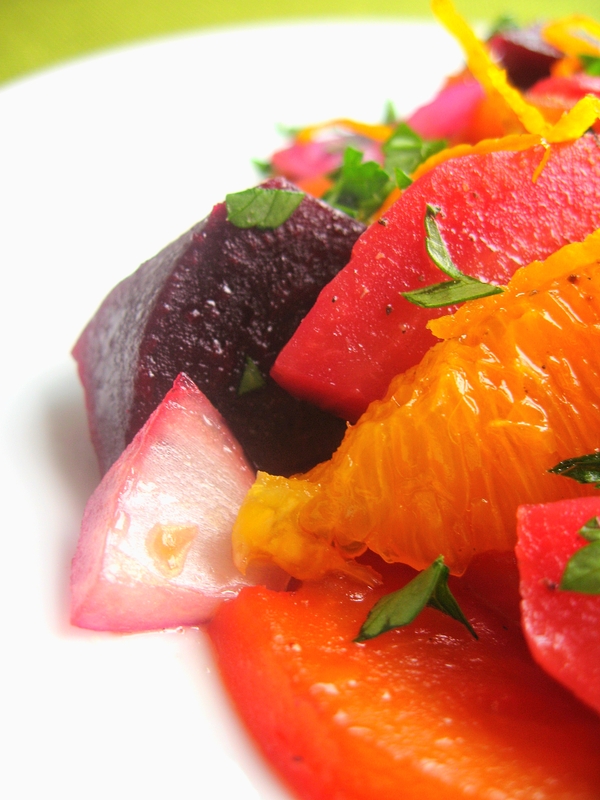 I just love beets… great with the orange flavor. Thanks for sharing. What beautiful colors in this salad! You did a fantastic job! I love beets. I can’t wait to try that salad. Fantastic combination! 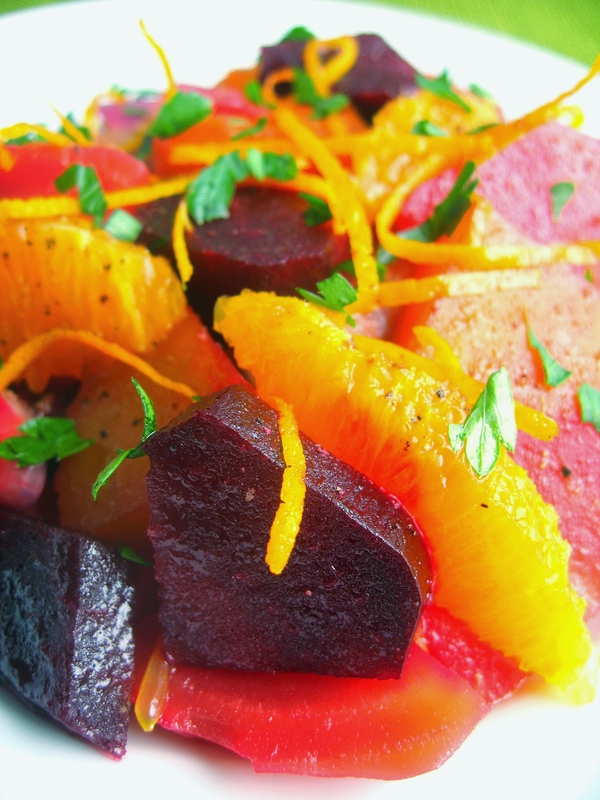 I’ve not seen beets next to oranges before but it seems like it would be a match made in heaven! Now that is a beautiful salad and soooo good for you. Great post.